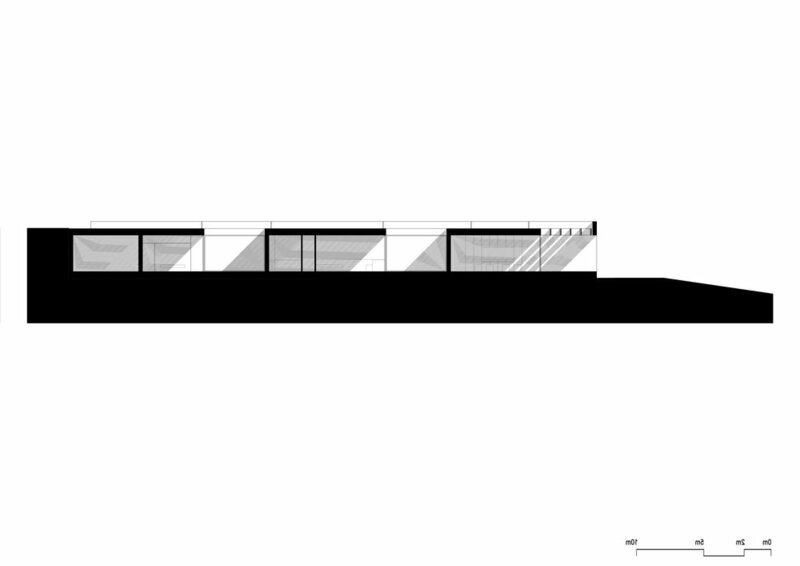 The project is based on the idea of integrating nature and architecture. 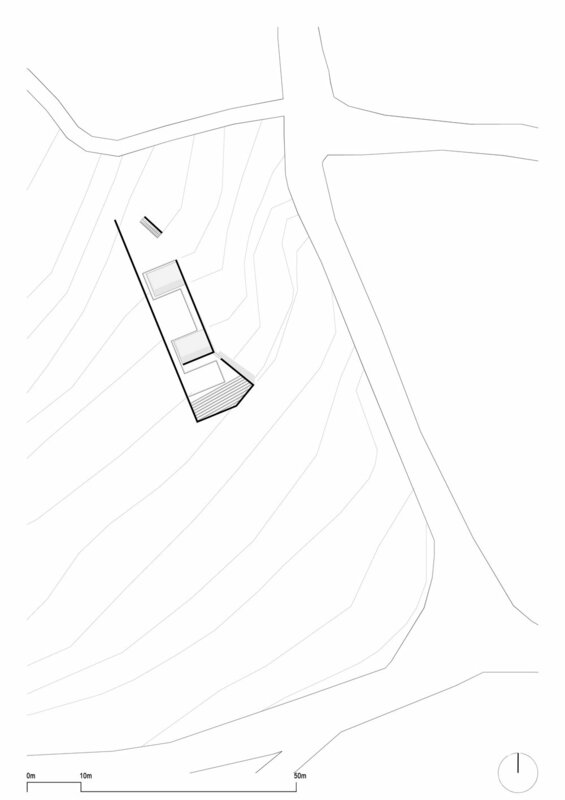 The building consists of a single volume and it is lying on the hillside with which it intends to communicate and confuse, almost to disappear completely. A slight turn at the south side of the volume, makes it possible to point the optical view of the building towards the _serinese_ valley. Two large patios pierce the compact and simple volume bringing light and air to the interior space and allowing the inhabitants of the house to have a relationship with the most intimate places in the middle of nature and the sky.